Pear from Chelsom is one of the stunning ranges from the brand new Edition 26 collection. 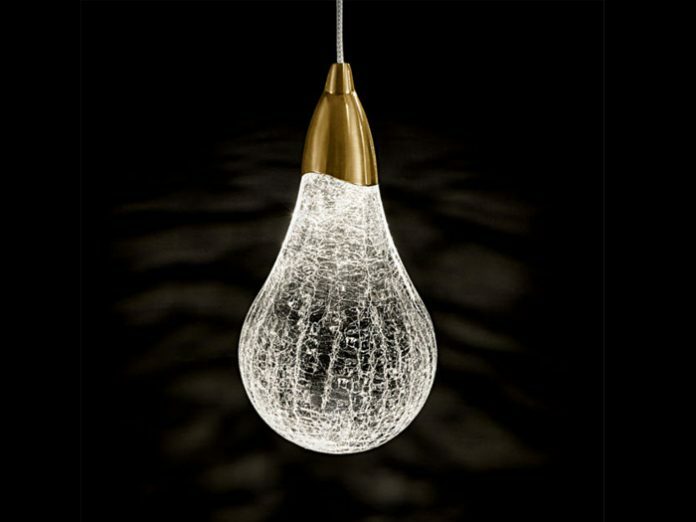 Tiny points of LED light project a sparkling glow into sculptured crackle glass pears creating a striking light effect. Single pendants and five light clusters with top plate and brushed brass metalwork are available as standard and large custom cascades or spirals are available to special order.